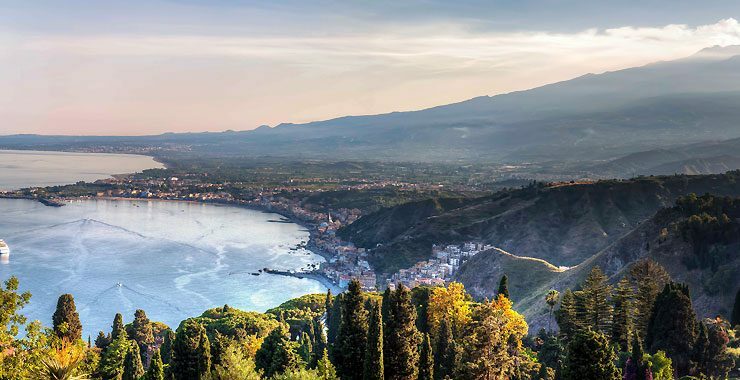 Sicily, a land of extremes and contrasts, is a magnification of all things Italian. Here you’ll discover a concentrated distillation of history, architecture and gastronomic delights. Wherever you turn you’ll see evidence of the island’s 3,000 years of history as the strategic crossroads of Europe. Nowhere else have so many different cultures left such an enormous collective legacy, making of the island a vast open-air museum, a testament to nearly every Mediterranean civilization of the past. 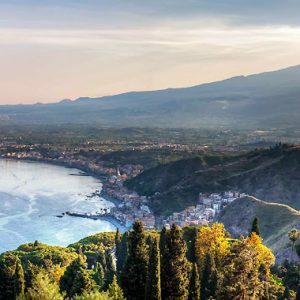 And with its wonderful climate, Sicily is eminently visitable all the year round, with each season boasting its own distinctive charm. Here is an outline of a suggested daily itinerary. You can shorten or lengthen this tour to fit your travel dates. For further information, please request a detailed itinerary. Day one: After arrival in Palermo and a private transfer to your hotel, you receive an orientation tour of the city. Day two: In the morning, you continue your exploration of Palermo’s sites, including the Royal Norman Palace. Afterwards, you visit Monreale to admire its magnificent cathedral. Day three: A morning walk takes you along the trails of the Zingaro Nature Reserve. Later, you explore the remarkable town of Erice, with its Punic walls and medieval fortress. Day four: Segesta is the focus of today’s walk, with its ancient Greek temple which is considered the most preserved Greek temple in the world. 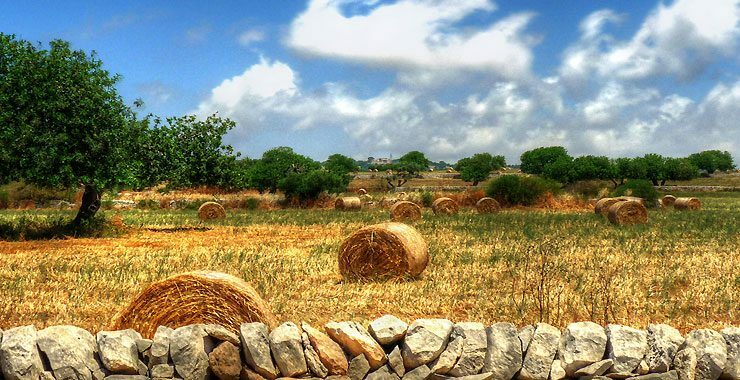 You finish the day in the charming town of Marsala, home to an important archeological museum. Day five: In the morning, you explore the labyrinth lanes of Mazara del Vallo, and in the afternoon, Selinunte, the second-most important of the ancient Greek colonies, following Syracuse. Day six: A full day allows you to enjoy the ancient Greek city of Akragas, today known as Agrigento. UNESCO included its Valley of the Temples in the list of World Heritage Sites. Day seven: Today you explore Cefalù, with its scenic beach, narrow cobbled streets and port lined with tiny fishing boats. The day ends in Palermo with a drop-off at your hotel or the airport, as you prefer. We suggest the following inclusions based on the proposed itinerary (above) and prices (below). Keep in mind that you can modify these as per your own preferences. We price this tour for the following categories of accommodation. We also tier-price based on your group’s size. You can keep your tour private to your own group or you can open your tour for other travelers to join, thereby taking advantage of our tier discounts. Single Supplements (sing. supp.) are charged on single occupancy rooms only. All prices are quoted per person in USD. You can schedule this tour to start on any day of the week, all year long. As with all our tours, you tell us the dates you would like to start your tour, allowing you the maximum in flexibility and convenience (full explanation). Write to us using the form below, and we'll send you the detailed itinerary for this tour and other relevant information. Or proceed to our booking area to book this tour now. No thanks. Email is fine for now. open to other travelers to join? private to your own group?